Have you ever been to a baseball tournament and seen another team using a training aid or a warm up tool that you had never seen before? And you didn’t feel like asking where they got it? Happened to me all the time. But I’d make a mental note of what I had seen, and the following Monday I’d be all over baseball equipment websites hunting that thing down. Even if I wasn’t thinking about buying it, I just wanted to find it and learn more. Lots of times the cost was a lot less than I guessed, and I’d go ahead and get it. Players and dads would often ask me, “Where did you get that?” It sure wasn’t at the local sporting goods store. You see, many new items don’t make their way to the main baseball equipment websites until everybody knows about them. 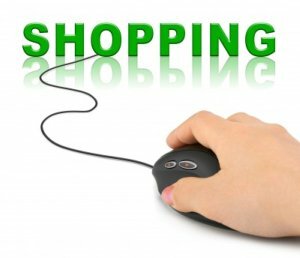 The big shopping sites will only list proven sellers. To find new items, you must seek out the lesser known sites. That is where my past comes in handy. Since I was bound determined to find every new shining toy I saw, I found a lot of lesser known websites. And I have decided to share that list with you here. I will also list the big sites so you can do some comparable shopping on items like baseball bats and gloves. I want to be real up front with you. I have an agreement with all of these websites. Anybody that clicks on one of these links and makes a purchase, the website gives me a little kick back. Nothing to write home about, but it all helps. That does not affect you, the buyer, at all. You pay the very same price whether you go to their website from here or from just searching them out. In fact, if you like our website and want to help us out, anytime you are going to buy some baseball equipment, if you come back here and click thru to one of the baseball equipment websites, we would sure appreciate it. What I have done is listed all the websites that I have done business with and would buy from again. The baseball equipment websites are listed alphabetically, and I try to describe the site as best as I know them. Like anything else on this website, if you would like to send us a comment, just go to “Contact Us” and fire it off. As far as dealing with the baseball equipment websites, sorry, there’s not much we can do. However, we have had no trouble with any of these sites. Anaconda Sports has saved me a couple of times. Has this ever happened to you? Your son wants a new bat or glove and he has seen one his has to have (yes, we spoil them too much) and you agree to buy it. Then,you can't find it anywhere. Twice that has happened to me, and both times Anaaconda Sports saved me. And, both times the price was great. If you are having trouble finding a certain bat, glove and any baseball item, be sure to check with Anaconda. Also, they seem to get brand new items before other websites do. If what you are looking for or wanting to buy is new, again, check with Anaconda Sports. Shop For Everything You Need For Basketball, Baseball, Football and More Today! Baseball Express is a must website to always check for prices. I have bought more items from them than any of the other sites. Great prices, great services and informative catalogs. Other sites may have a sales price beating Baseball Express,but nine out of ten times they are going to be competitive. Baseball Rampage has some great deals like the "Play Now, Pay Later" and "30 Day No Sweat Guarantee". And if you buy a lot of equipment, you should check out their "RampageBucks" program. It will help with future purchases. Hitting World Hitting World is a great website for pitching machines and batting cages. 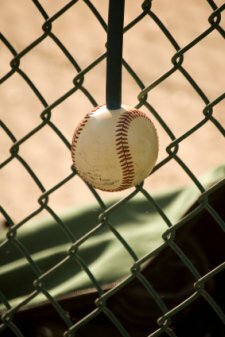 They have all the best in pitching machines and many types and sizes of batting cages. Also, lots of different and unique training aids. If you are looking for that hard to find training aid, Hitting World is a great place to start. They carry bats and gloves, just not the normal brands. In bats, they carry Akadema, Combat, Mattingly and Anderson bats. In gloves, they carry Brett Bros. and D-BAT. Be sure to take a look at all these different kinds of bats and gloves. Besides having a pretty cool name, Homerun Monkey has a great selection and great prices on baseball equipment. This is one website you should alway include when doing comparable pricing. We find their prices often hard to beat. While I have never bought team uniforms from them, I've been told by friends they do a great job. you want to play catch with an autographed baseball, but I just love this site. I would be dangerous on this site if it wasn't for my wife,lol. The first time I found this site, I was surprised at how low the prices are. I had never really shopped for sports memorabilia before, so I didn't know what to expect. While they don't give things away, most items are real reasonable. Need a special gift for your sports minded boss, check this place out. And while you are at it, pick up something for yourself. SportsMemorabilia - Find The Perfect Sports Memorabilia Here!! !